How To Paint U.S. and World Maps | KaBOOM! Adding a huge, colorful map brings color to the playspace and teaches geography to kids. 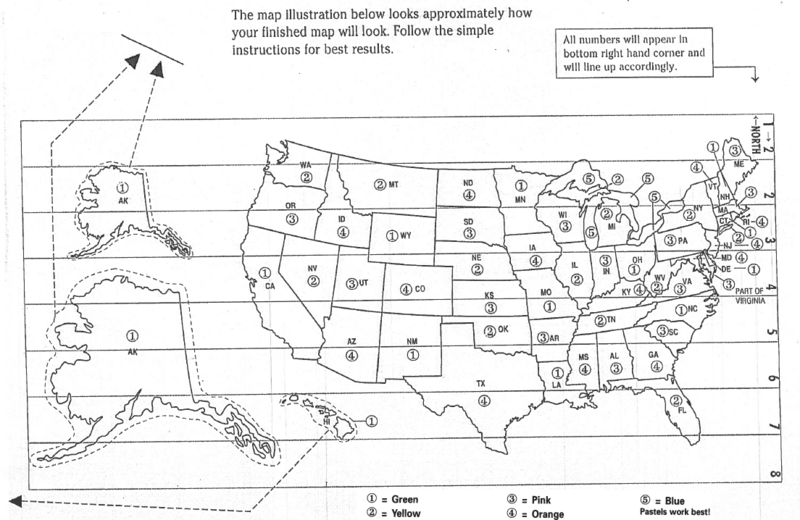 Children will be amazed by this enormous map, and will be drawn to thinking about it and playing around it. Painting is also a fun volunteer project! A finished painting project always provides a sense of accomplishment and very little expertise is needed to contribute successfully to the project. Gather the listed supplies and tools. Locate the section of asphalt/concrete where you would like to paint the map. For the US map, it will need to be about 35' wide and 36' long. 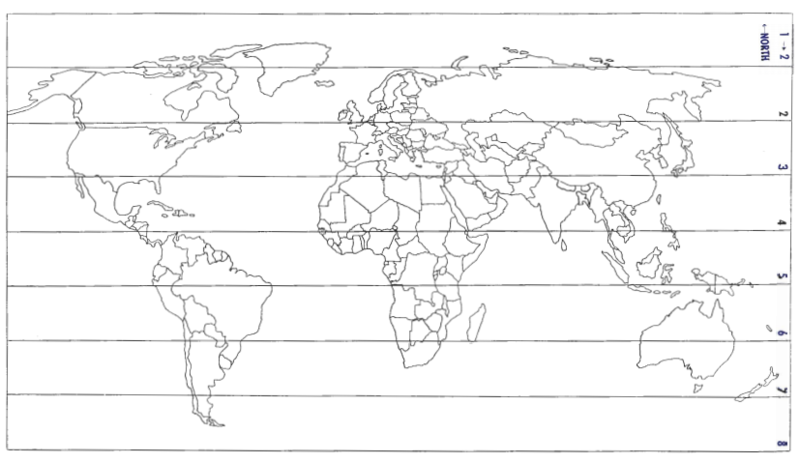 For the world map, it will need to be about 20' wide and 36' long. Make sure the surface is clean. Sweep and wash if needed. Use concrete primer to prepare the space. Begin to unroll the stencil. For the US map, unroll section 1→2 15' below the top of your cleared area. This will allow you room for Alaska. For the world map, unroll section 1→2 at the top of your cleared area. Anchor the stencil with tape to keep the wind from blowing it around. Note: the stencil paper is very thin and the wind will easily rip it if it is not taped securely. Unroll stencil section 2 below and next to section 1→2 on the side indicated by the →2. Be sure the stamped edges of the sections are aligned and the adjacent edges are close together. Unroll the rest of the sections in order so that the final layout looks like the illustration. 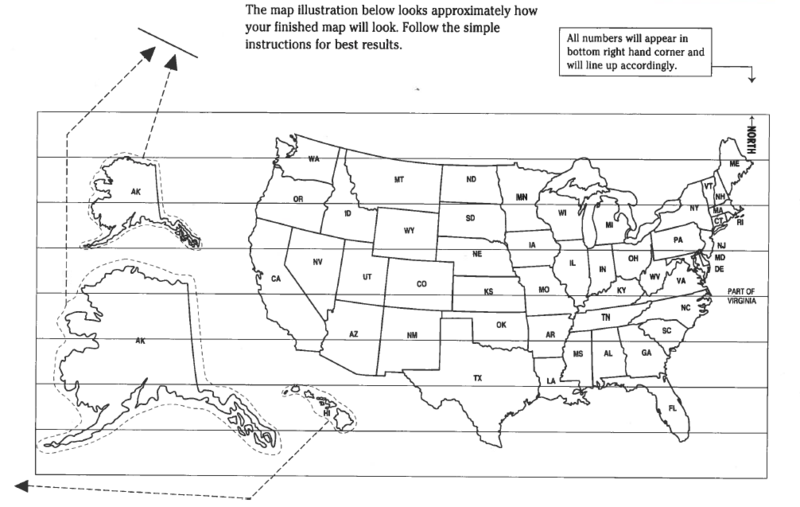 For the US map, note that there are two versions of Alaska in the space next to the west coast. The large one is in the same scale as the rest of the states, and the smaller one is included for grounds which do not have enough space to paint the full-size. Tape together the sections of Alaska that you wish to use and move it above Washington State. Additionally, move the Hawaiian Islands, as the diagram shows. 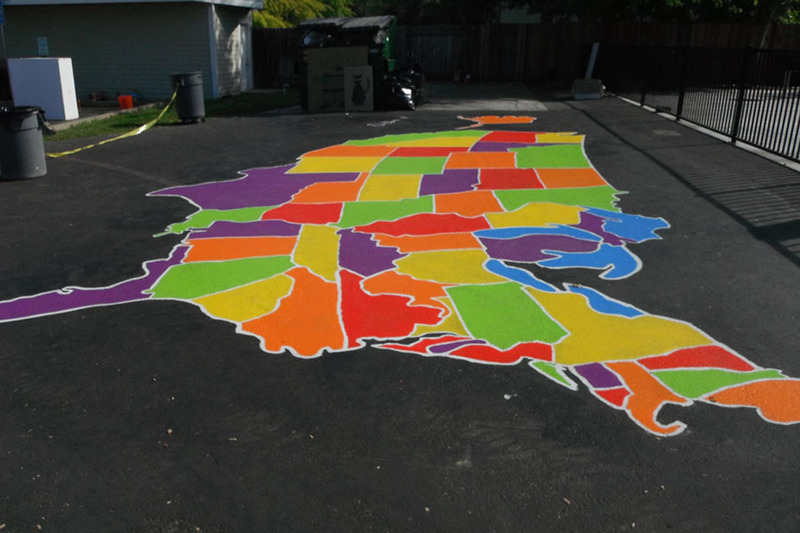 Use chalk or bright paint to mark the holes, creating the outline of the states/countries. Remove the stencil, connect the dots, and paint the countries. You may want to add non-skid additive to the paint. Pastel paint colors tend to show the best on concrete/asphalt. For the US map, you will need 4 different colors - 5 if you plan to paint the Great Lakes. 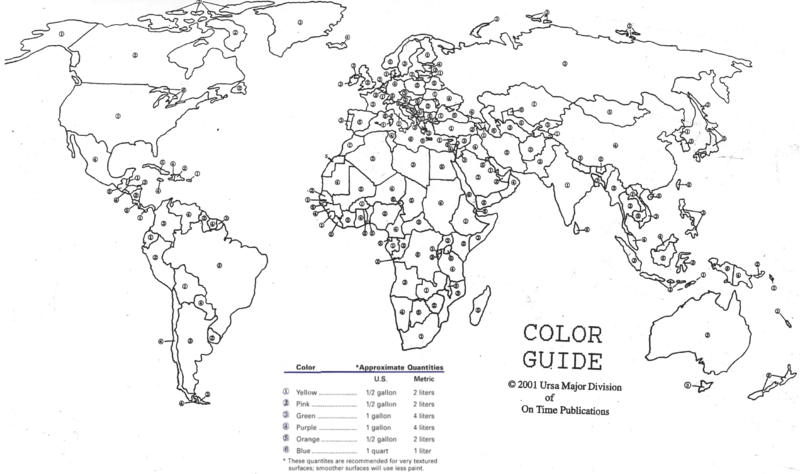 For the world map, you will need 6 colors.